When you buy your side by side, keeping it safe is a priority. Even in the most remote locations, thieving can be a problem. If there is nowhere for you to put it up, how can you keep your UTV safe? 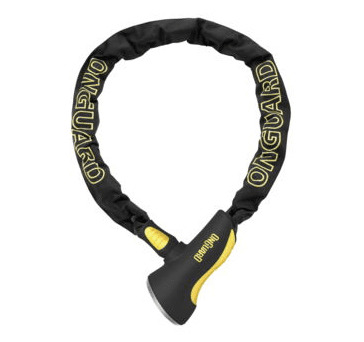 Here at Side By Side Stuff, we offer the OnGuard Mastiff Series Integrated Lock with a 3.5 Foot Chain so your mind can rest easy on your big trip. The 10mm hex link steel chain and square bar links are titanium reinforced to resist attacks from saws or cutters. Not even rain will keep this lock from protecting your UTV. A water and heat-resistant embroidered chain cover prevents scratching and allows a compact coil. Having a 3.5 feet long chain keeps flexibility simple! Thieves won�t know what hit them when they come across this bad boy and you will have peace of mind, knowing your side by side is safe.